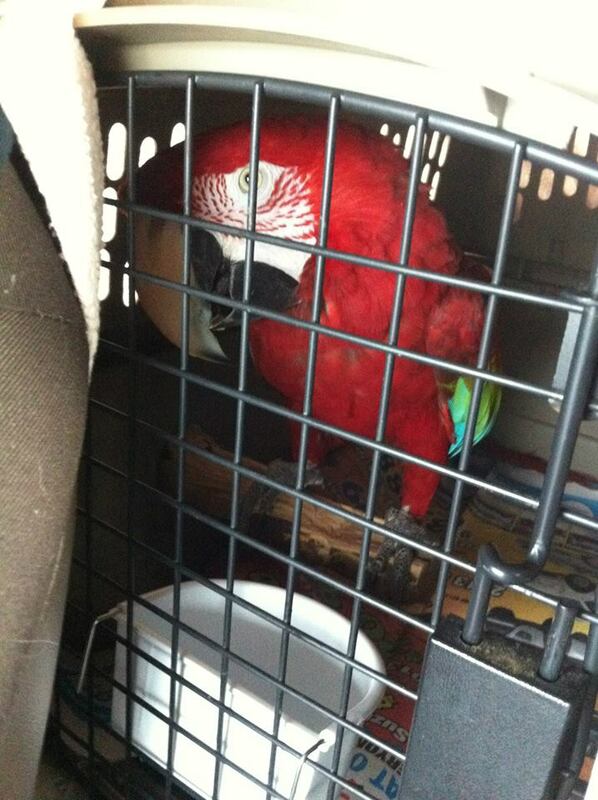 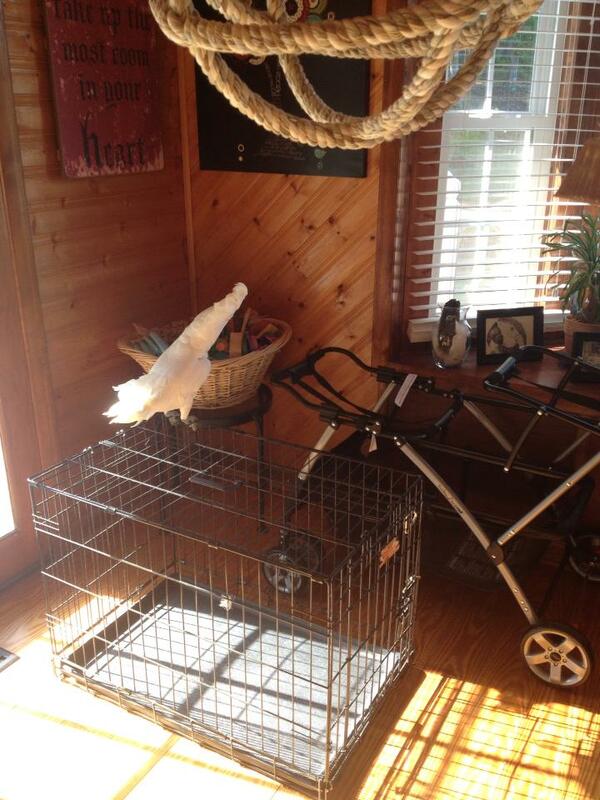 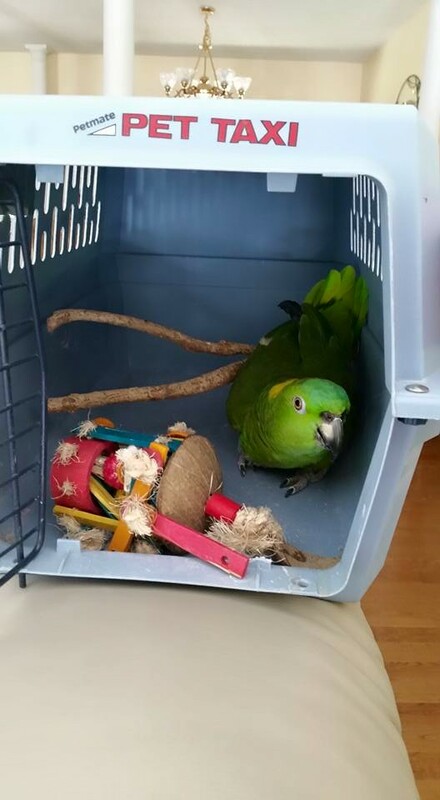 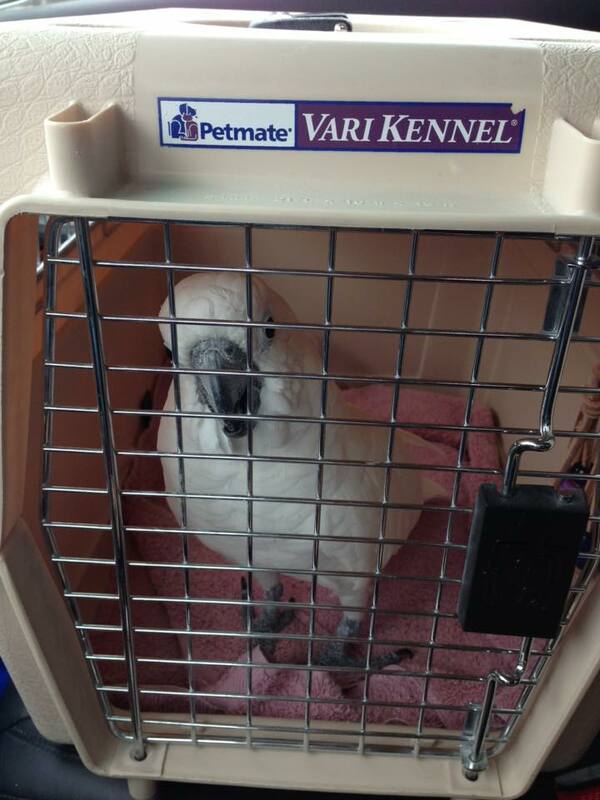 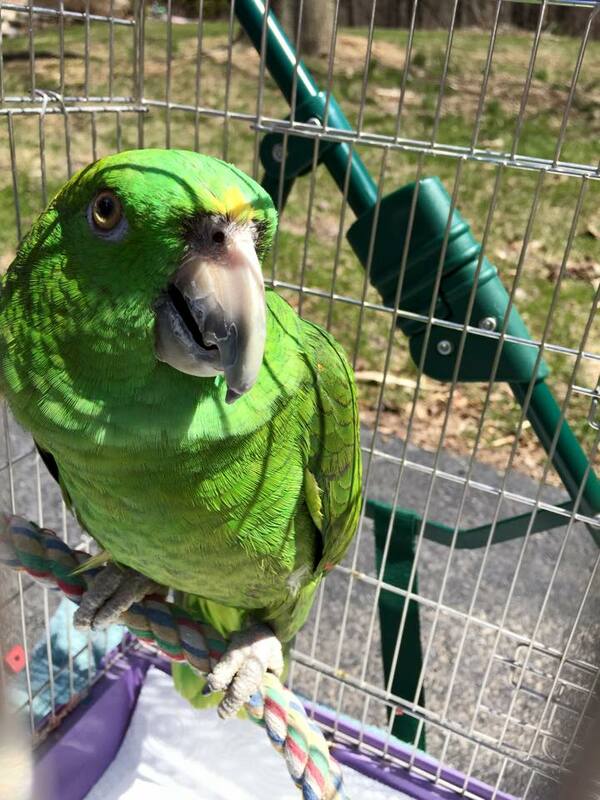 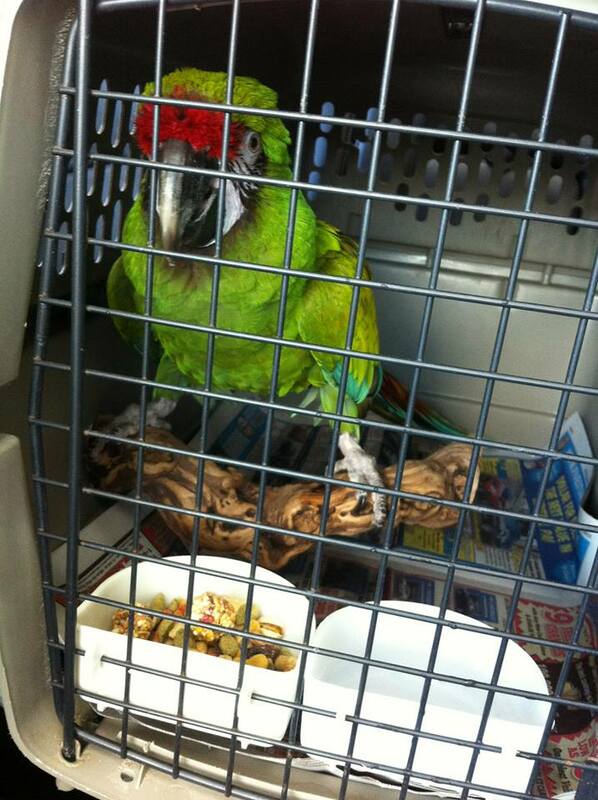 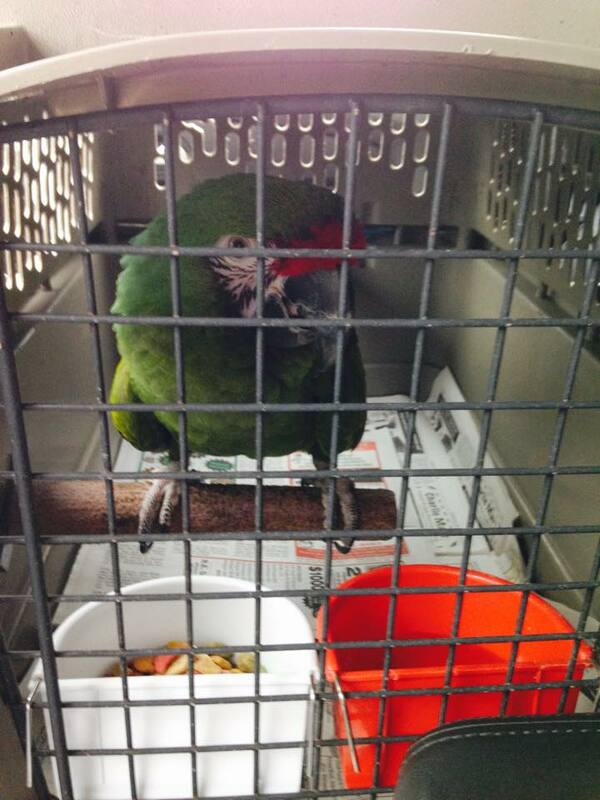 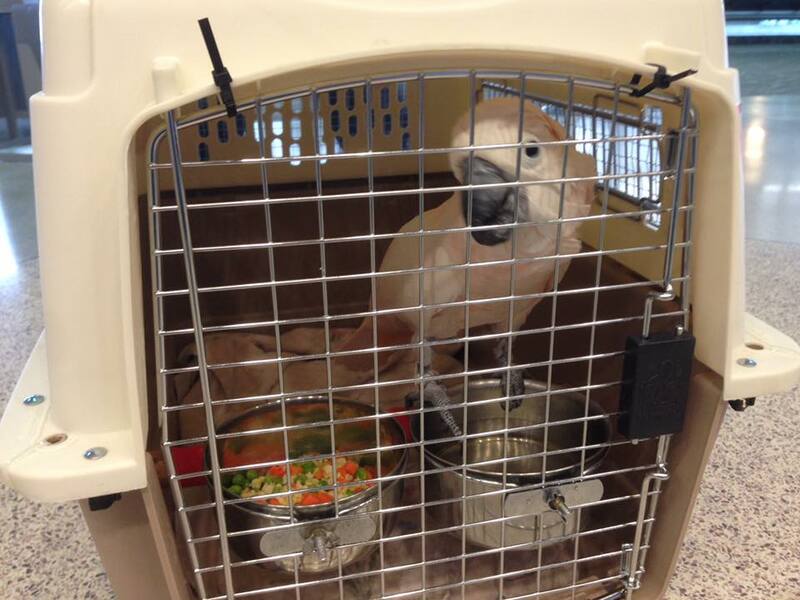 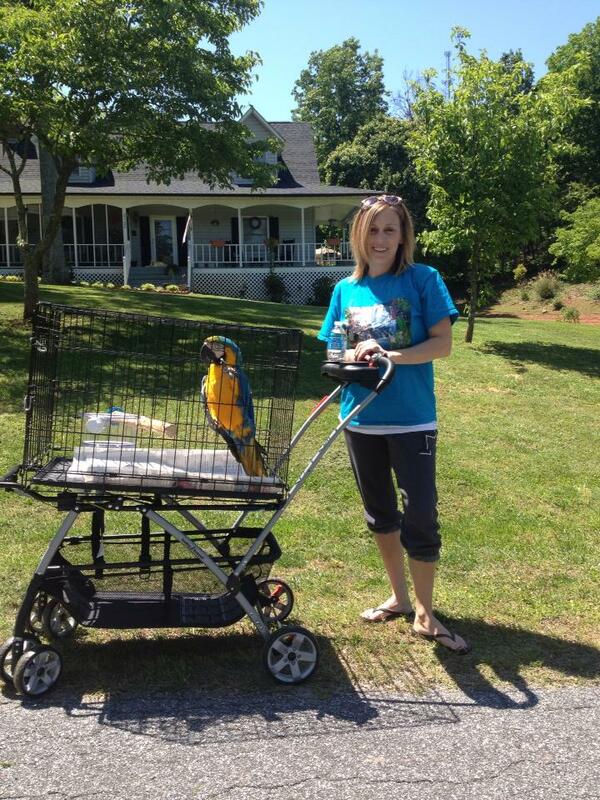 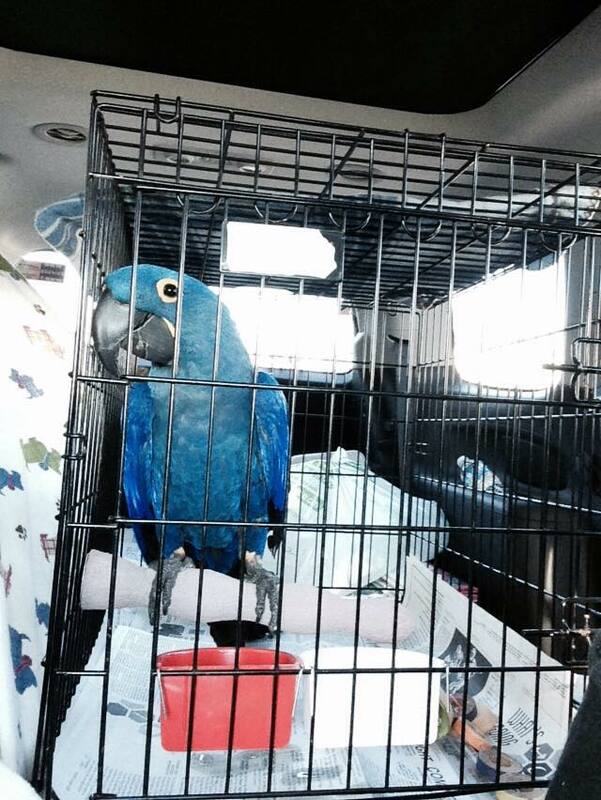 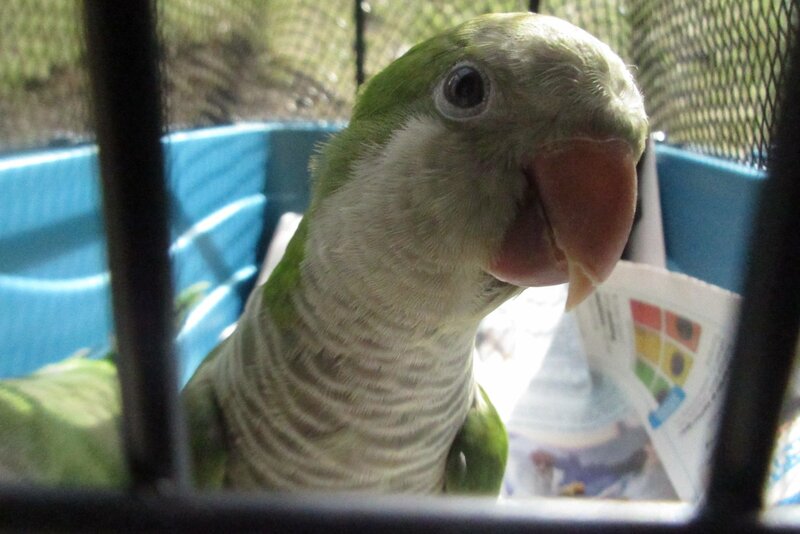 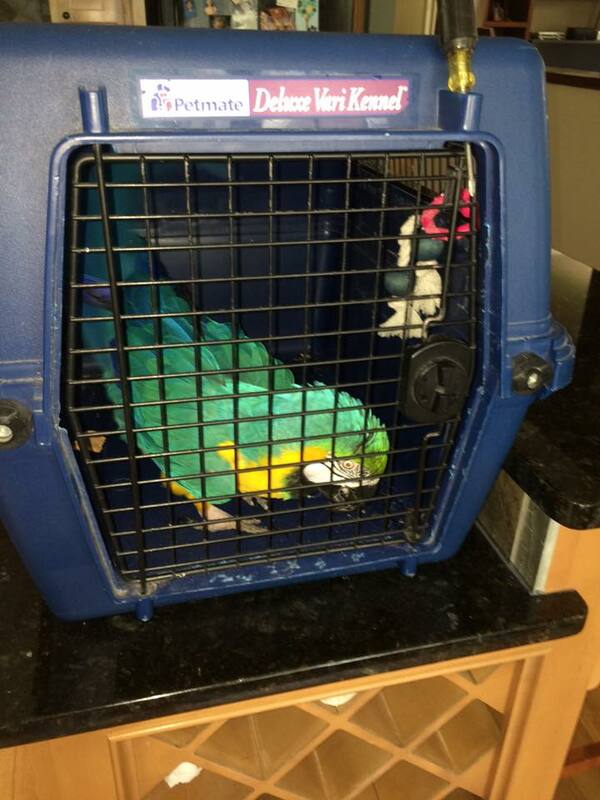 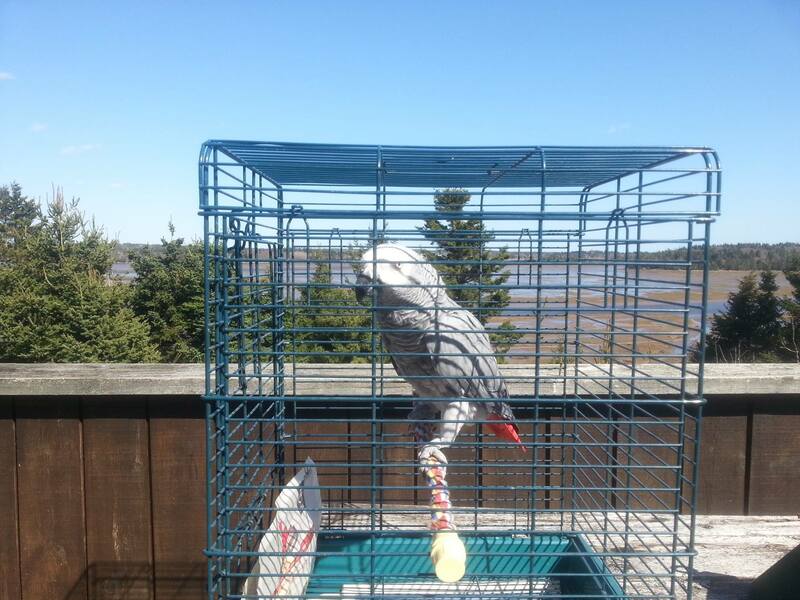 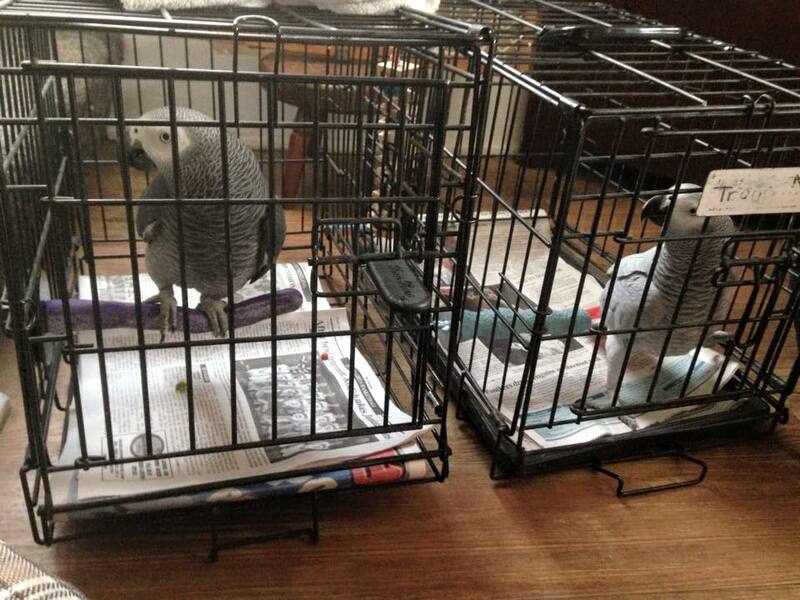 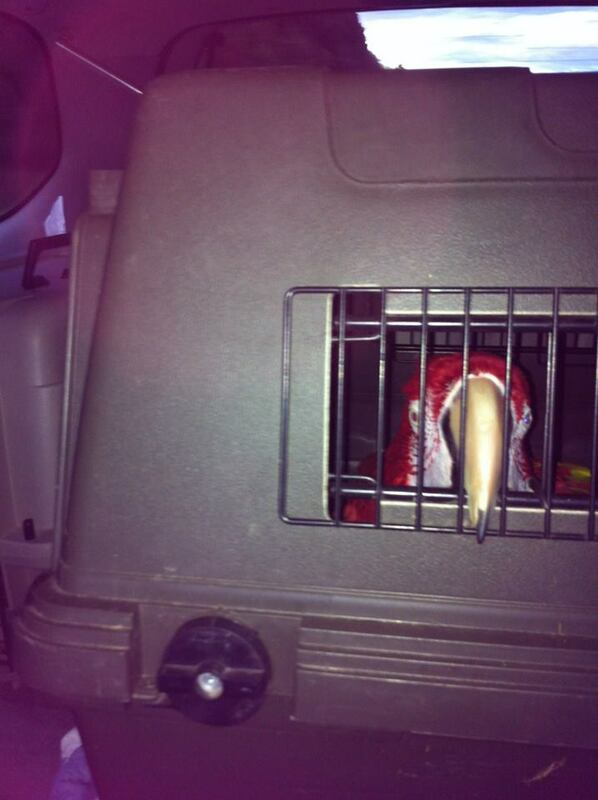 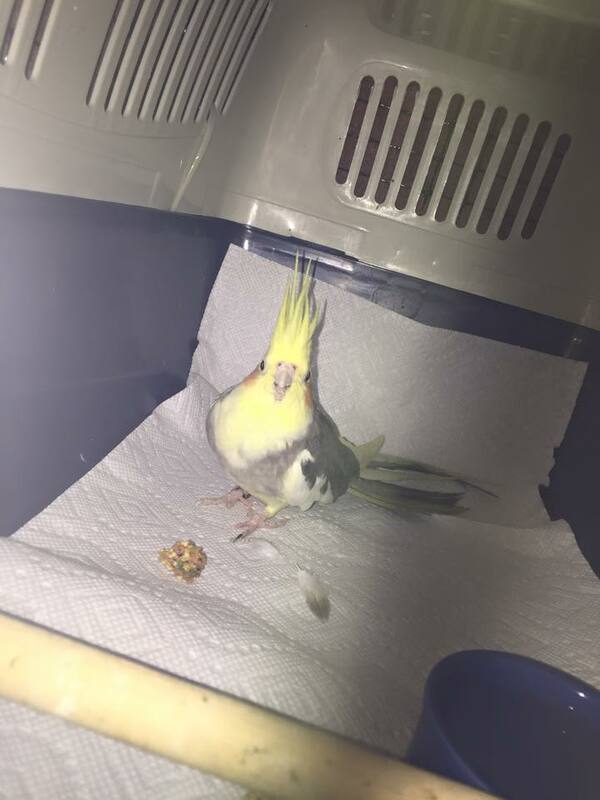 Taking our Feathered ones to the vet is a minimum an annual event. 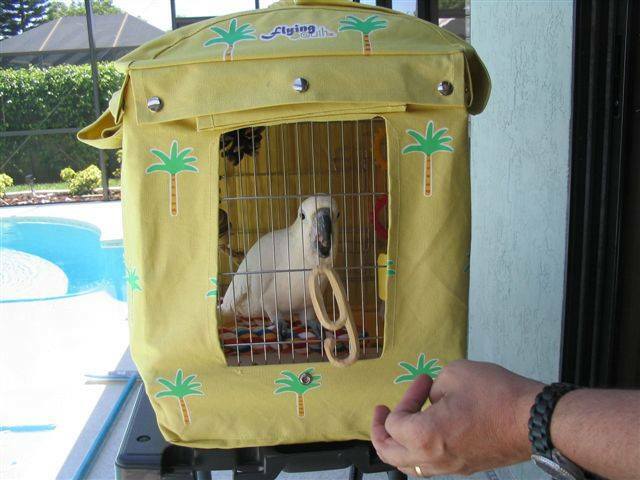 This can be a very traumatic experience for them unless you get them use to the experience of being in their carrier and going out for trips. 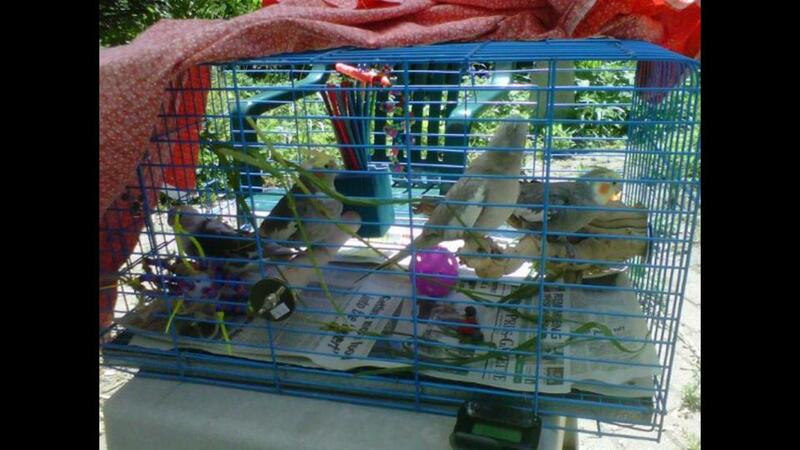 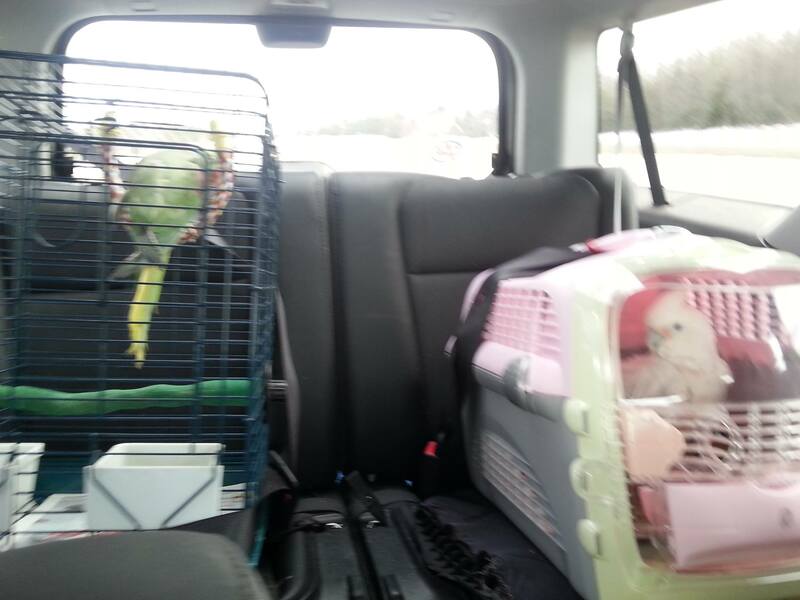 I find it helps to allow them to play in their travel cages at home. 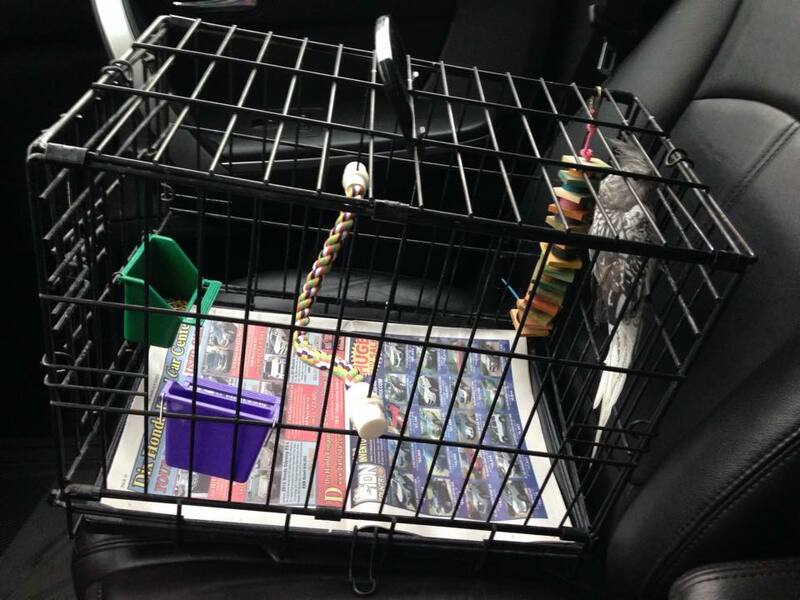 Get them use to being in these cages prior to having to go to a vet appointment. 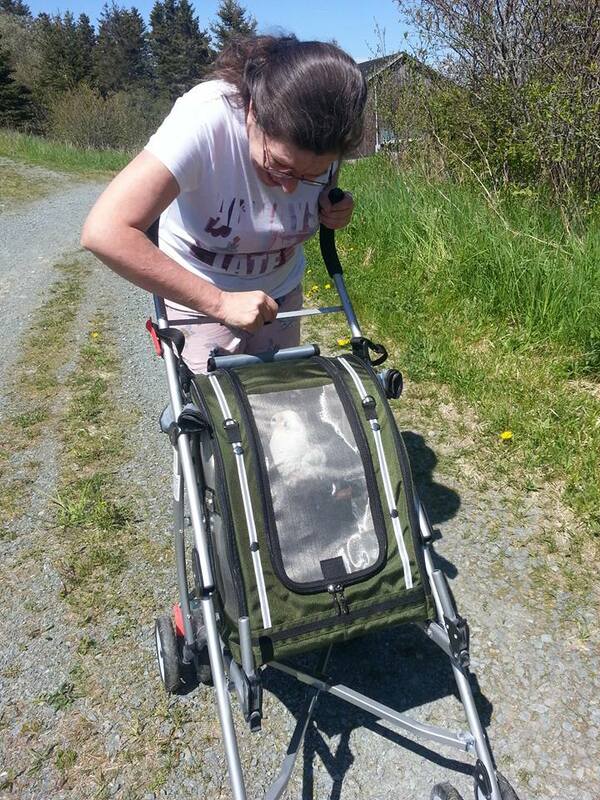 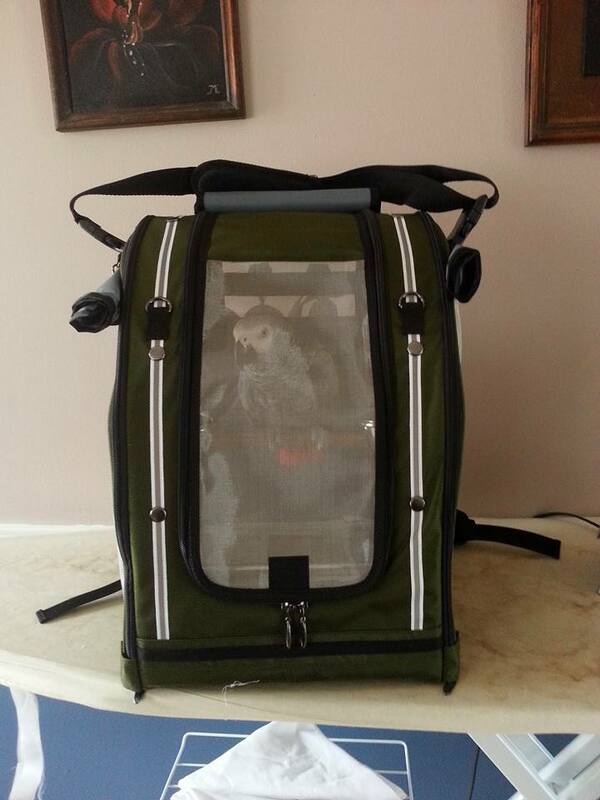 Also take them for short rides or walks around the neighborhood in their carriers. 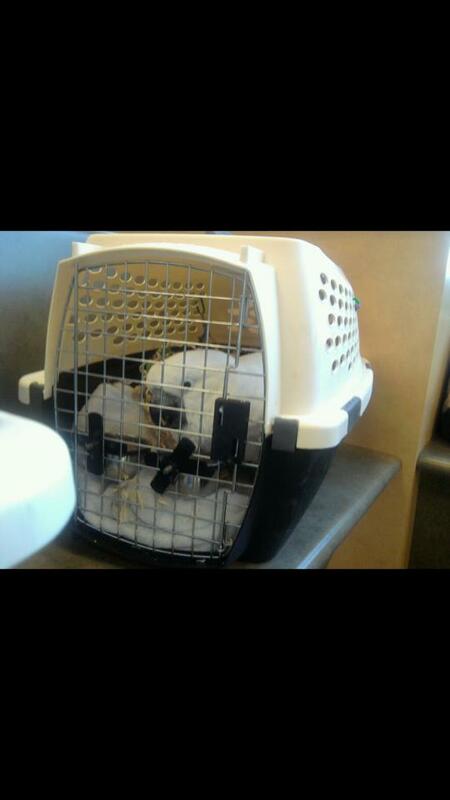 Get them use to the whole experience, without having to actually go to the vet. 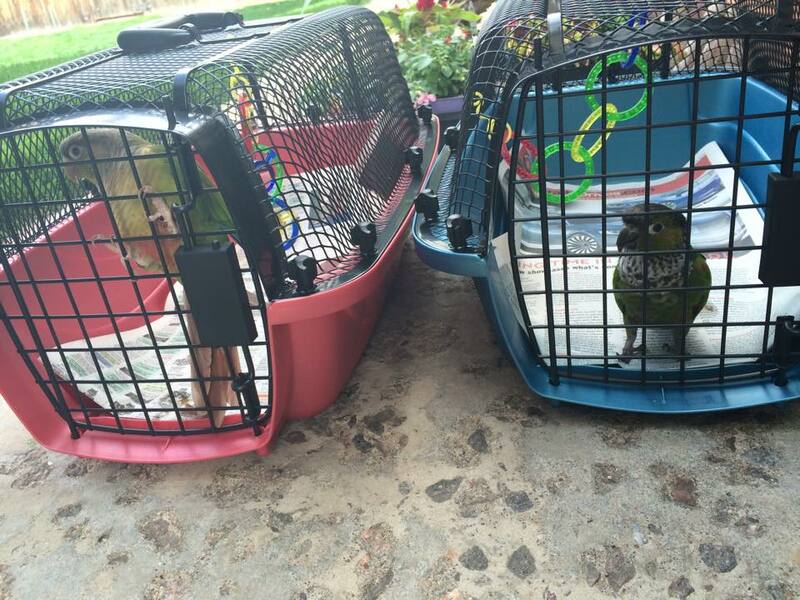 Take them for a trip to the park or even just out in your own back yard, make it a fun positive experience for them and you. 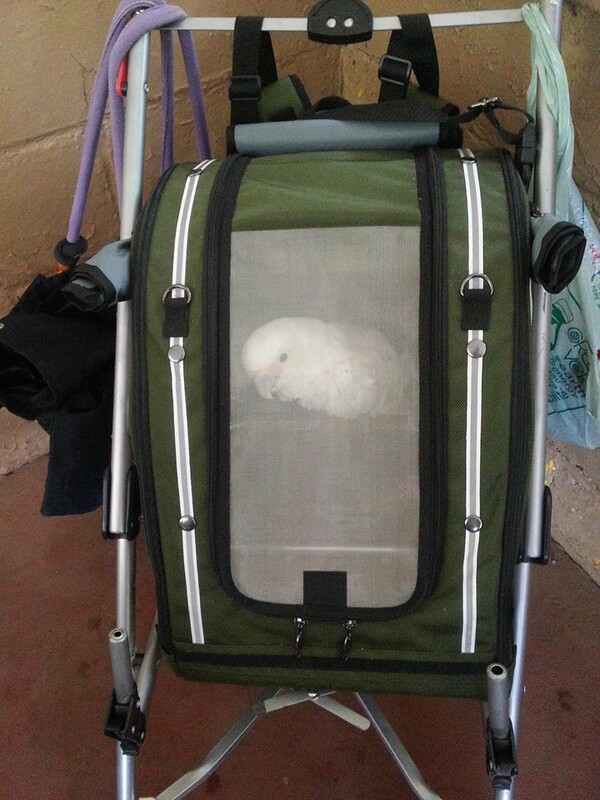 While in their carriers talk to them and keep the tone upbeat, positive and fun 🙂 Always make sure they have access to water and snacks. 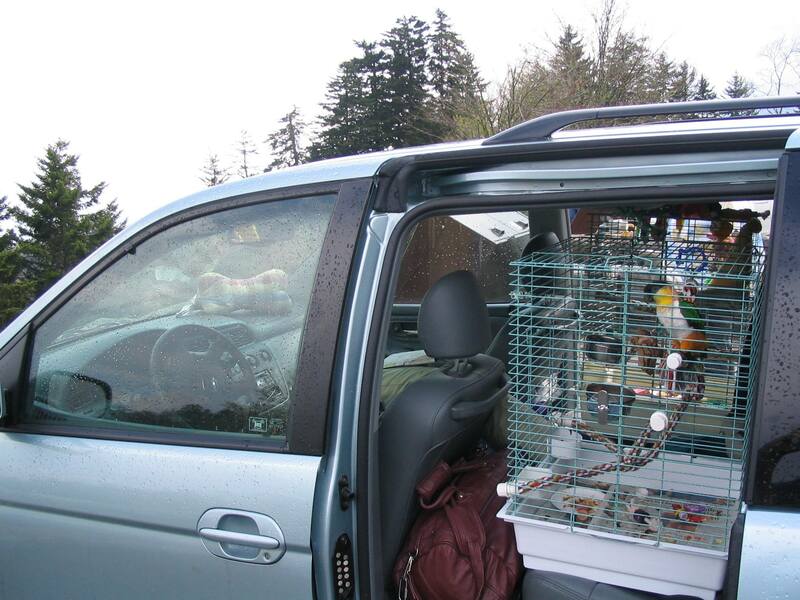 If your feathered one gets car sick….give a slice of fresh ginger each day for a couple of days before traveling. 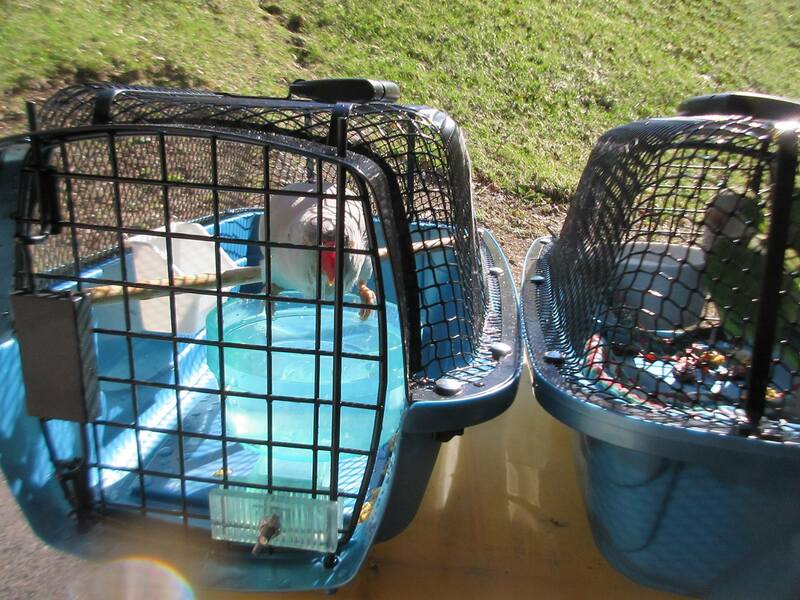 Or add fresh ginger to their water for a few days before your scheduled trip. 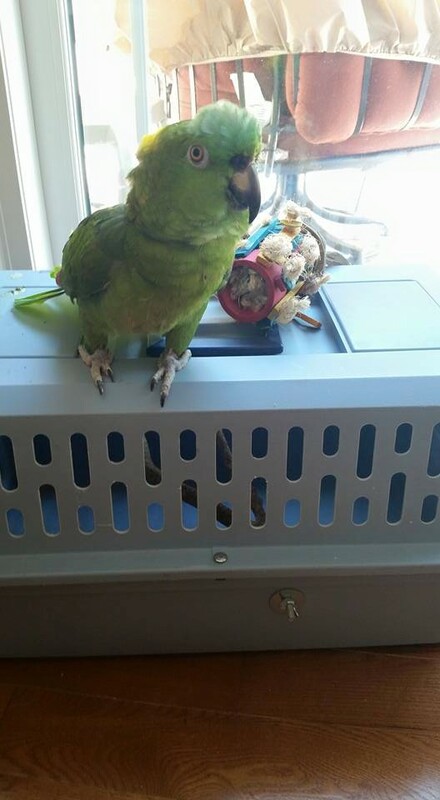 This works wonders and is totally safe for parrots. 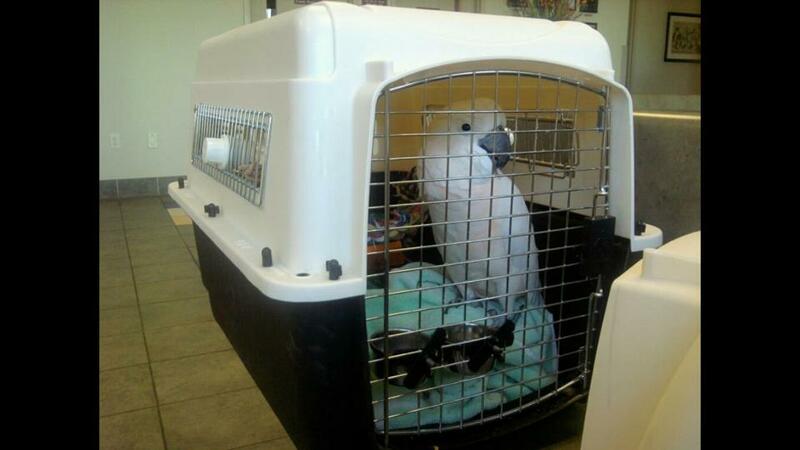 Never offer any motion sickness medicines that are not prescribed by your Avian Vet first. 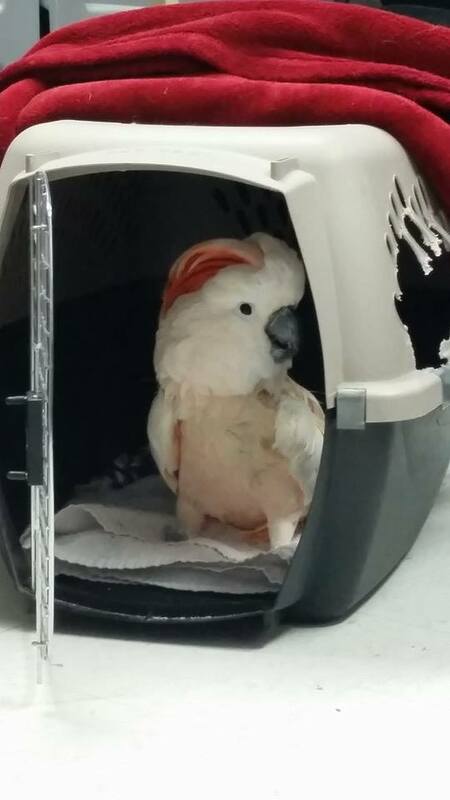 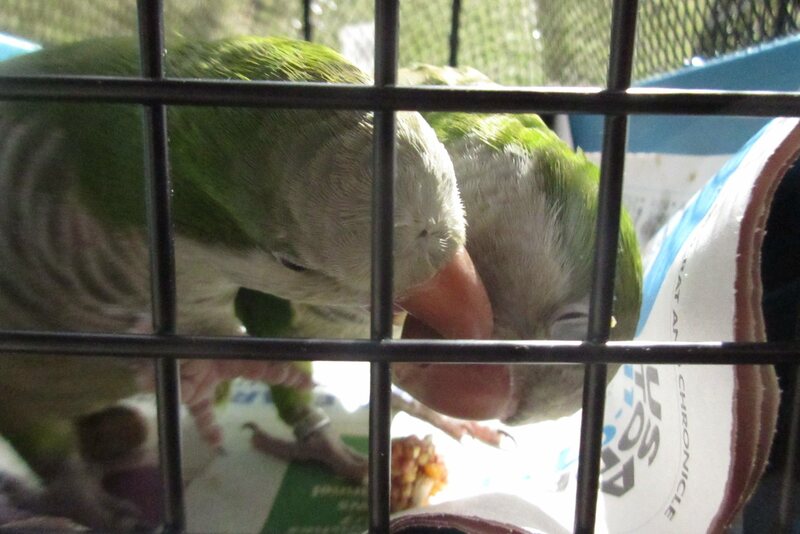 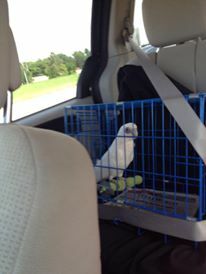 Gracie and Daisy all buckled into the car properly….everyone needs to follow this example to prevent injury to our feathered babies when traveling. 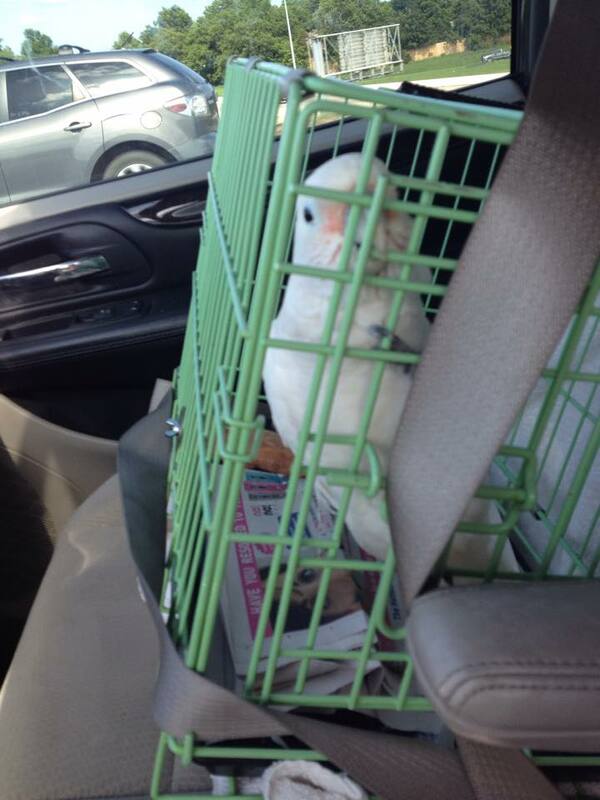 Just make sure you remind them that they aren’t allowed to eat the seat belt…..